Hello! I’m Helen from Cosmetics, Clothes and Cute Things. When Kat asked on twitter for guest bloggers, I jumped at the chance! Tales of a Pale Face is by far one of my favourite blogs – I remember the name sold it to me straight away – you can’t get any paler than me! Speaking of pale skin, I LOVE winter as it means I can shine in all my white pasty glory and not feel like the odd one out. However, having dry skin means winter can be a bit of a pain, white and pasty is good in my eyes, but not when I start flaking like a pastry! I went on a bit of a mission in 2013 to find my ultimate skincare routine, and I’m pretty sure I nailed it towards the end of the year. I managed this by somehow deciding to give a certain product another go – usually this never happens! When something is in the no pile it stays there! 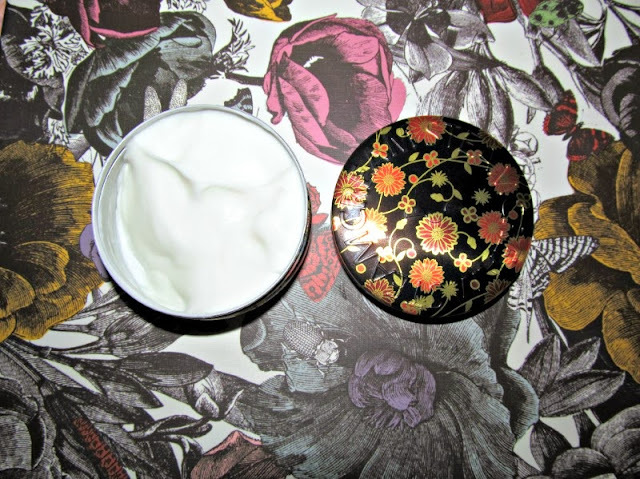 The product that saved my skin this winter is…Steam Cream! I’m not sure how many of you will have heard of Steam Cream as it’s not available in Boots, but then again, since you all read blogs I’m sure you’ll have come across it! 4 years ago I worked in Lush. Before that, I had NEVER paid my skin any attention. It didn’t really do anything really so I just kind of left it. Anyway, as you can imagine, over the course of my time there I tried lots of lovely different skincare products, one of which was Steam Cream (little known fact time…Steam Cream is Lush’s sister company…). At the time I loved the tins and the smell as lavender is one of my favourite scents of all time, however it was FAR too heavy and greasy on my skin, so I think I used it about once and binned my tin, thinking nothing more of it. This winter I was looking into night creams and after a nasty experience with a very high end skin care brand burning my face I decided to go back to basics with natural products, and Steam Cream crossed my mind. It was too heavy as a day cream then when my skin was ‘meh’ but would it work well as a night cream now my skin was dryer? I ordered a tin in the Koku design (Ume Ni Uguisu wasn’t available then – I would have gone for that one! I might have just ordered it as a back up…) and waited. After a few uses it was clear the answer was yes! Steam Cream is a handmade, natural, steam infused cream that comes in lots of beautiful tins! Its main ingredients are lavender, oatmeal and sweet almond oil – this is why I went for it – a lot less nasties than some other products on the market! Steam Cream has helped heal my dry skin and leaves me waking up feeling nourished and fresh every morning. I use about a 5p sized amount and massage into my face each night. This tin is going to last me forever (though as it’s fresh/preservative free it's only in date for 6 months) as you get loads and a little goes a long way! It is definitely my Holy Grail Winter Night Cream! What do you use to rescue your skin in the winter? I have a tub of steamcream that I'm yet to use! I've been seeing the steam cream left and right! I think it's about time I picked up one myself! Dr.D.M Mahajan is an expert on cosmetic treatment. She is warning against fake acne scars treatment which do more harm than good. I really want to try Steam Cream as my next night cream as the one I'm using currently is way too heavy for my skin, and this sounds lovely!